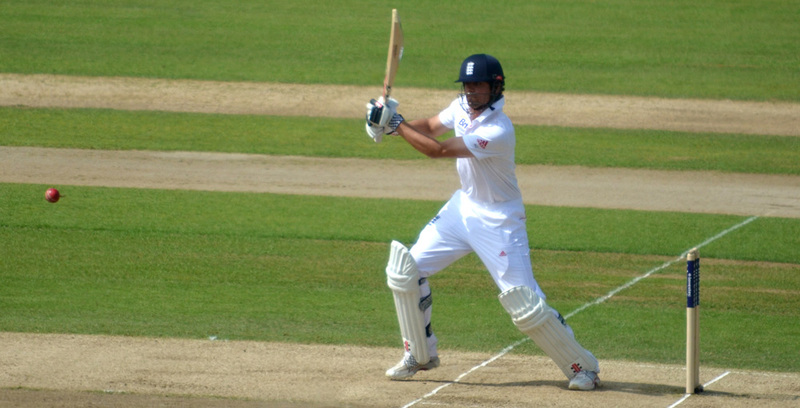 England legend Alastair Cook bowed out of international cricket with a typically gutsy century against India at The Oval, his 33rd and final Test hundred for his country. Only Sachin Tendulkar, Ricky Ponting, Jacques Kallis and Rahul Dravid have scored more Test runs than England’s record-breaking batsman and it will be a tall order to find a replacement. England have recently announced their squad for the upcoming trip to Sri Lanka, with out of form opener Keaton Jennings keeping his place and call-ups for Surrey’s Rory Burns and Kent’s Joe Denly. It remains to be seen if those selections will be a temporary fix to England’s top-order or whether we have found a genuine successor to Cook. The likes of Mark Stoneman, Adam Lyth and Haseeb Hameed have all had opportunities to open the batting for England and it looks unlikely that they will be back in the fold anytime soon, although Hameed certainly has time on his side. With two new faces already introduced to the squad for Sri Lanka, it seems certain that a long-term successor will be someone who is yet to experience Test cricket. Averaging almost 43 in first-class cricket and with 14 centuries to his name, Nick Browne was instrumental in the 2017 County Championship winning side. His 2018 form has been underwhelming in comparison but with Keaton Jennings currently struggling for form, there may eventually be two spots available at the top of the order instead of one. The Middlesex left-hander is still only 24 and comparisons have been made with former England captain Andrew Strauss. He scored a mammoth 1,409 runs as Middlesex won the title in 2016 and he subsequently went on to feature for the England Lions. His form has dipped since then and injuries haven’t helped. He will need to have a good start to the 2019 county season to be considered, but international recognition may not be far away if the likes of Denly, Jennings, Burns and Moeen Ali fail with the bat this winter. Roy has been a revelation in white-ball cricket since breaking into the T20 team in 2014, and has become a mainstay of England’s top order. He has been considered for Test cricket, but a lack of first-class action in 2018 and the fact that he would usually line up in Surrey’s middle-order has counted against him. But he is the kind of player which England may need if all doesn’t go to plan in Sri Lanka. England have regularly found themselves struggling at 30-3 over the last 18 months, and a change of approach at the top of the order could provide fresh impetus. The likes of Virender Sehwag, David Warner and Matthew Hayden would often go after opening bowlers and look to seize the initiative early on, and Roy could well fit into that category. Whilst he may not be an immediate replacement, the 21-year-old top-order batsman looks like a certainty for eventual international recognition. Lawrence burst onto the scene with a sensational 161 for Essex at The Oval in 2015, at the age of 17. He then struck three centuries as Essex were promoted the following year, before 761 runs at 44.76 in 2017 earned him the title of Young Cricketer of the Year. He returned to form with a fine 124 against Hampshire last month and it won’t be long before we get to see his promise on the international stage. The standout performer of 2018, it would have been a major surprise if Burns hadn’t been selected for the winter, and a Test debut at Galle awaits in November. The Surrey left-hander has scored the most runs in the County Championship this season, 1,319 runs at 69.42, and he made four centuries to help his side win the title for the first time since 2002. His game is also similar to Cook’s in the sense that he knows his game incredibly well and will only play a select number of shots. He is comfortable off his pads and plays the cover-drive extremely well, whilst also having the patience to continuously leave the ball outside off-stump. His technique might not be the most pleasing on the eye, but the way he accumulates runs and builds an innings should give him the platform to be successful.